Sunnybrook Research Institute (SRI) scientists have made internationally impactful advances in medical science. These discoveries will transform, and in some cases have transformed, countless lives. First to show that among children with the same genetic susceptibility to Type 1 diabetes, differences in immune responses to gut bacteria are strongly linked to future diagnosis of the disease. Lead world’s first clinical trial to use MRI-guided focused ultrasound to deliver chemotherapy directly into the brain of people with aggressive brain cancer. Show it is safe and feasible. Discover that gamma delta T cell receptors can be produced to recognize and kill melanoma antigens, creating a potential new way to fight cancer. The finding is a new biological principle, as previously only alpha beta T cell receptors were thought to hold such power. First to use focused ultrasound to deliver gene therapy to the brain in preclinical models simulating Parkinson’s disease. The treatment blocked by 50% production of the lethal protein thought to be the driver of the disorder. First to use focused ultrasound to open temporarily the blood-spinal cord barrier and deliver a drug to treat spinal cord tumours in preclinical models, to therapeutic effect. Develop, with colleagues at the University of Toronto, the first handheld device that can print sheets of skin tissue to cover wounds in preclinical models quickly. First to show that more active mutations of the tumour-suppressor gene p53 are associated with significantly longer survival. This suggests a path by which the gene’s mutation status could be used to help determine prognosis and decide which patients need more aggressive treatment. Complete world’s first clinical trial using MRI-guided focused ultrasound to open the blood-brain barrier of patients with Alzheimer’s disease noninvasively and repeatedly, showing it is safe and feasible. Invent the first fully automated high-throughput hyperspectral microscope that can image interactions between live cells in real time. Rapidly shows how well targeted drugs work, thus providing a way to determine which drugs will work best in which situation, so that more effective therapies can be developed. Launch the world’s first trial of focused ultrasound to open the blood-brain barrier and deliver therapy to people with amyotrophic lateral sclerosis. 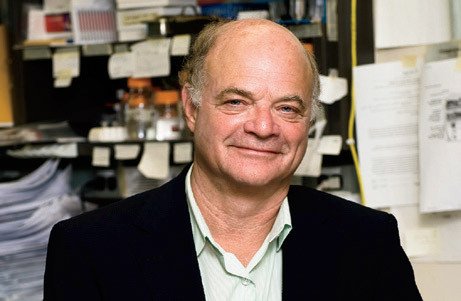 First to determine that the HEB gene is essential in early human developmental processes. Without HEB, tissue cannot develop normally, a discovery with potential therapeutic applications for many diseases. Design a molecule that is the first to target the VISTA receptor, an immune checkpoint on T cells, to shut off T cells in mice. The molecule could lead to the development of an anti-inflammatory drug for autoimmune disorders. Discover a viral molecule that inhibits natural killer cells, a type of white blood cell that fights cancer and infection. 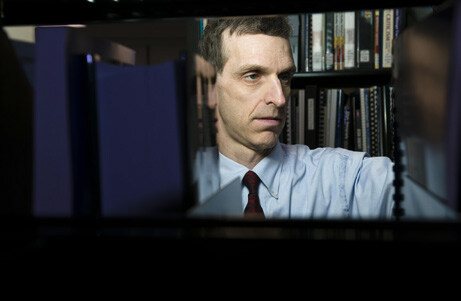 The discovery sheds light on important aspects of the immune system and how viruses have evolved to evade recognition. Show for the first time clinically that a novel ultrasound technique to “map” tumours can distinguish between benign and cancerous breast lesions noninvasively. 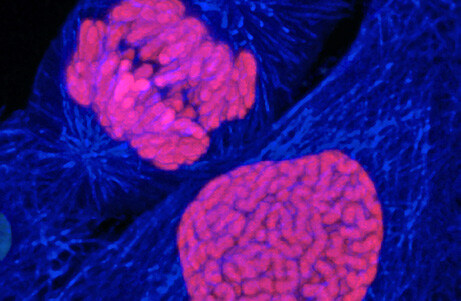 This method could lead to an inexpensive way to screen for and diagnose breast cancer rapidly using biomarkers, not biopsy. 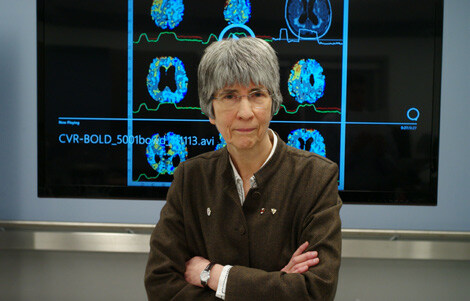 First in Canada to use the Gamma Knife Icon, which can treat as many as 30 tumours that have spread to the brain. The Icon delivers precisely focused radiation under real-time CT guidance, and uses a mask instead of a head frame to keep a patient’s head still during treatment. Clinical trials are ongoing. 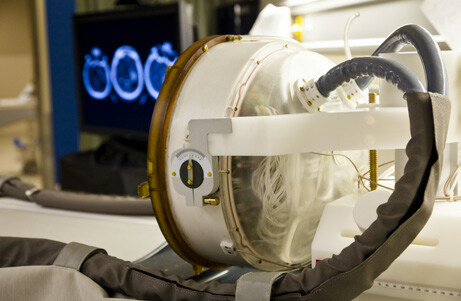 Perform the world’s first metabolic MRI of the human heart. The method uses a contrast agent called hyperpolarized C-13-labelled pyruvate. The method could help to unravel the relationship between metabolism and progression in diseases like heart failure and cancer. Co-lead an international clinical trial that shows MRI-guided focused ultrasound for treatment-resistant essential tremor is effective and safe, and improves quality of life. Results lead to clinical approval in Canada and the U.S.
Show that high-content cell imaging can guide patient-specific treatment in chronic lymphocytic leukemia (CLL). Scientists tested 320 compounds in 640 combinations to identify which worked best in human CLL cells tested in the lab. Results set the stage for a clinical trial testing the most effective combination. Provide the first evidence that tumours can become resistant to therapy that works by stopping the growth of new blood vessels by hijacking blood vessels from neighbouring healthy tissue. 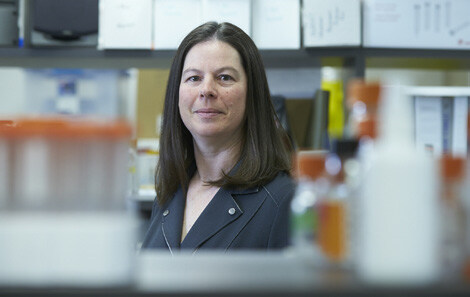 Findings could present new drug targets. World’s first to use focused ultrasound to open the blood-brain barrier noninvasively to deliver chemotherapy into the brain of a patient with brain cancer. Microbubbles and MRI-guided focused ultrasound were used to breach the barrier, allowing chemotherapy to be targeted to the tumour. 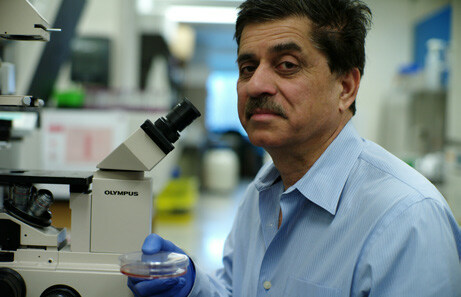 Determine that an enzyme called vasculotide, discovered by an SRI scientist, can help protect against flu. Results show the drug improves survival in mice infected with influenza virus, even when given 72 hours after infection. Lead large study confirming that the DCIS score, a multigene test, can predict risk of disease recurrence in women with ductal carcinoma in situ (DCIS) who have received breast-conserving surgery alone. Will help clinicians and patients decide on the best treatment. Validate in a global clinical trial the use of a 21-gene panel to determine which low-risk patients with breast cancer may safely be spared chemotherapy and receive only endocrine therapy. Results show 99% of these patients had no recurrence five years later. First to deliver genes noninvasively across the blood-spinal cord barrier in mice using MRI-guided focused ultrasound paired with microbubbles. Results show focused ultrasound could be a safe and effective way to deliver gene therapy into the spine. Determine for the first time that a group of inhibitory neurons is much reduced among elderly people and those with Alzheimer’s disease, and that this deficit is accompanied by sleep disruption. Explains why sleep becomes fragmented with age and Alzheimer’s disease. Show that prolonged heart monitoring can diagnose atrial fibrillation, dangerous irregular heart rhythms, in people who have unexplained strokes. Suggests prolonged monitoring should be standard for these people. Provide the first evidence explaining why even brief exposure to anesthesia causes persistent memory loss. The preclinical study pinpoints a mechanism for this action, suggesting a pathway by which it can be targeted with therapies. Establish that including MRI with mammography in a program to screen women at high risk for breast cancer detects more cancers than either method alone. This combination screening could be a critical option for BRCA gene mutation carriers. Show, in the largest clinical trial for twin births ever done, that planned vaginal birth is as safe as planned C-section for mothers and babies. Findings slow, and in some cases reverse, rates of elective C-sections. Find there are no added health benefits for preterm babies whose mothers received multiple courses of corticosteroids before birth, even five years later. Determine that better sleep consolidation reduces the effect of the APOE gene, the most common genetic risk factor for Alzheimer’s disease, on the risk of incident AD and development of tau protein tangles. Publish the first multi-institutional report clarifying the risks and predictive factors linked to vertebral compression fracture, a common adverse effect after spine stereotactic body radiotherapy. First to show that MRI-guided focused ultrasound on its own reduces amyloid plaque load in brain regions of mouse models of Alzheimer’s disease. Also show that it increases antibodies that are produced naturally and activates glial cells, known to be critical to brain function.. Provide the first evidence that using an imaging method called hyperpolarized 13C metabolic MRI to follow the progression of heart disease is feasible. Show preclinically that metabolism varies as heart failure develops. 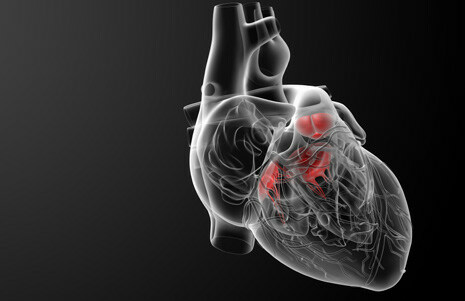 This noninvasive method could be used to diagnose heart failure and optimize its treatment. Establish in multicentre trial that the “spot sign,” visible as bright white on a CT angiography brain scan, accurately predicts which brain bleeds are at high risk of expanding. Also show that patients with the spot sign are more likely to die. First to show preclinically that using focused ultrasound to disrupt the blood-brain barrier and deliver chemotherapy into the brain enhances the effect of chemotherapy. This noninvasive method reduced tumour growth and increased survival in a model of aggressive brain cancer. Paves the way for clinical studies. 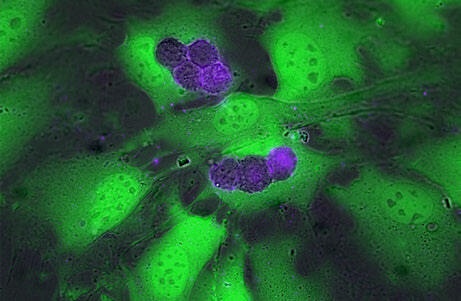 Develop a method that uses ultrasound-stimulated microbubbles to sensitize tumours to radiation. Achieve a 40% to 50% tumour volume cell death with just one dose of radiation in a prostate cancer mouse model, results typically achieved after 35 doses. First to show how an immune cell, cytokine IL-17F, is crucial to bone healing by causing osteoblasts, bone-forming cells, to mature and stimulate bone formation. Suggests ways to optimize fracture repair techniques and improve treatments. Discover that microRNA miR-98 acts as a tumour suppressor in aggressive breast cancer by inhibiting cell survival and proliferation, tumour growth and invasion, and blood vessel expansion. Suggests that repressing this molecule may promote the development of cancer. 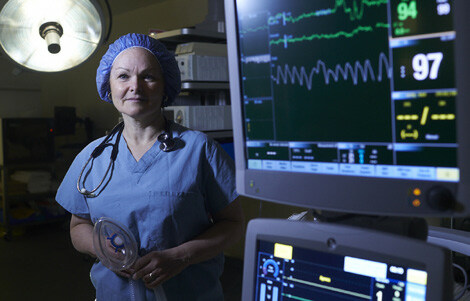 Lead the first Canadian trial to show that MRI-guided high-intensity focused ultrasound can be used to treat patients with severe essential tremor safely, effectively and noninvasively. Lead landmark clinical trial for advanced HER2-positive breast cancer showing that patients on the antibody-drug conjugate trastuzumab emtansine had better survival with less toxicity compared to standard treatment. Canada and the U.S. subsequently approve the drug, the first targeted chemotherapy. Show the risk of radiation-induced breast cancer and related deaths owing to mammography for women 40 years and older is low, especially in light of the benefits of screening. Odds are about 50 times higher of a life saved through earlier detection by screening over a life lost due to radiation-induced breast cancer. Confirm that annual MRI screening is associated with a significantly reduced rate of advanced-stage breast cancer in BRCA1 and BRCA2 gene carriers. Researchers found a 70% reduction in the frequency of large or invasive breast cancer in high-risk women. Supports MRI as a viable option for managing risk in these women. Pioneer a pain relief technique for use during orthopaedic surgery. 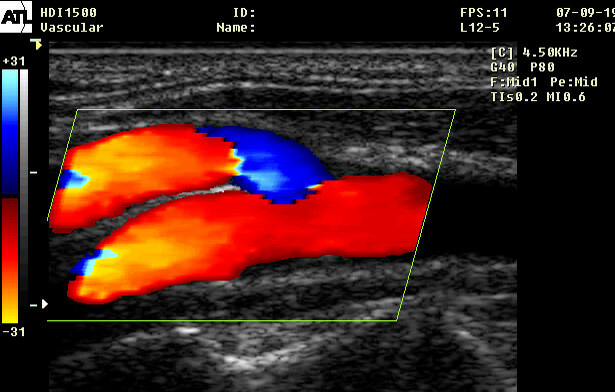 The technique uses ultrasound to guide the administration of a low volume of local anesthetic to reduce post-surgery pain and improve joint mobility. Conduct a first-in-human trial showing that diffuse optical spectroscopy can determine within four weeks which patients are responding to neoadjuvant chemotherapy for locally advanced breast cancer. Paves the way for oncologists to predict tumour response months earlier than possible with standard imaging. Find that lithium treatment does not slow progression of amyotrophic lateral sclerosis. Disproves much-hyped findings of an earlier pilot study. Show that using focused ultrasound to deliver anti-amyloid antibodies into the brains of mouse models can halt Alzheimer’s disease in these models. Invent a catheter-based technology that can be turned off and on, overcoming an obstacle to MRI-guided vascular procedures: the tendency of the imaging marker in the catheter tip to obscure the area that needs to be seen. Find that tamoxifen therapy combined with the commonly prescribed antidepressant paroxetine increases the risk of death in women with breast cancer, and that other antidepressants of the same class do not produce this interaction. 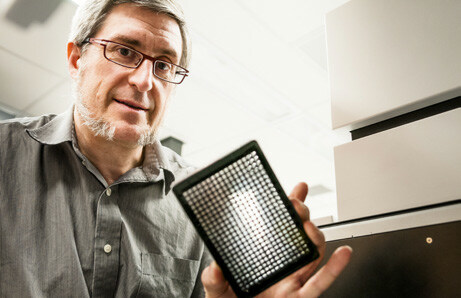 Invent an MRI-compatible tablet with Baycrest Health Sciences that pinpoints the origin of brain functions at their source while cognitive tasks are performed. Invent and commercialize an ultrasound imaging catheter that can see inside heart chambers in 3-D in real time during heart procedures. 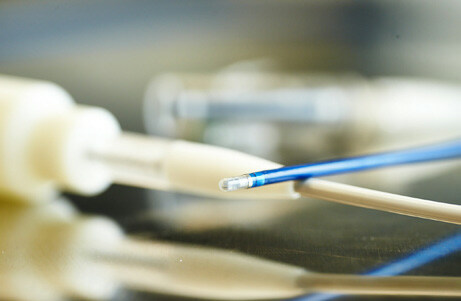 It is the first such device that can look ahead of the tip of the catheter, not only to the side. Show that rushing acute stroke patients directly to Sunnybrook to receive tissue plasminogen activator (tPA) therapy—which if quickly administered reverses the signs and symptoms of stroke—works. Four times as many patients are treated with tPA after the protocol is implemented. Provide the first evidence to detail what an H1N1 virus infection and outbreak might look like; find it hits younger and healthier people harder. Enables hospitals around the world to prepare for and treat high-risk patients effectively. Discover that antiangiogenic drugs, shown to slow tumour growth in some primary cancers, also accelerate the spread of cancer in certain preclinical scenarios when given over the short term. This breakthrough sheds light on why antiangiogenic drugs produce only modest benefits despite their promise. Engineer and commercialize a peptide that speeds wound healing by 30% to 40% in mice with diabetes. It also dramatically improves the quality of wound closure. Develop a unique model that monitors the functions of a single-strand microRNA for longer-term studies of specific microRNAs, which are important in aging, self-renewal and tumour angiogenesis. This model may also serve as a new way of studying gene regulation by microRNAs in gene therapy. Provide the first evidence that quantitative ultrasound can detect cell death in tumours as soon as 24 hours after radiotherapy in preclinical mouse models of breast cancer. Create human progenitor T cells from stem cells in the lab, and successfully instruct them to become fully functional immune T cells when implanted in mice. This advance opens a door to translational studies of treatments for immune-compromised patients. 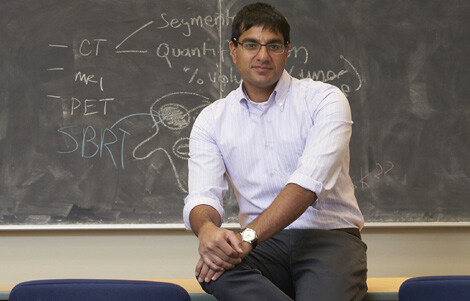 Invent and commercialize a device that pairs ultrasound and MRI to treat prostate cancer. 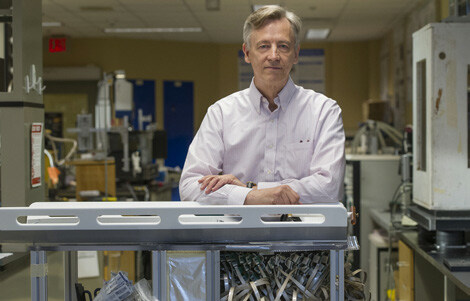 The device destroys tumours with precision, thereby sparing surrounding healthy tissue and preserving urinary, bowel and genital function better than do current treatments. 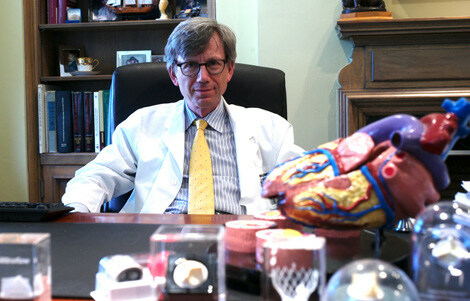 Develop a therapy that uses an enzyme called collagenase to help restore blood flow in arteries of the heart that are chronically blocked. The treatment is preferable to bypass surgery and drugs. 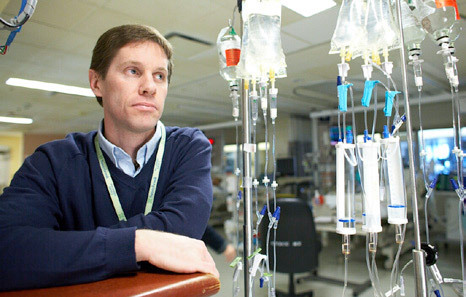 Results lead to clinical testing at Sunnybrook. Show that MRI of plaque hemorrhage, a 3-D technique, may be a useful screening tool to prevent stroke and heart attack by providing radiologists with a more detailed look into diseased arteries. Find that most atrial fibrillation patients who had a stroke were not protected with the blood thinner warfarin at the time of their stroke. They either were not taking any protective medication or were taking it in too-low doses. Results suggest an immediate change in practice to prevent strokes in this high-risk population. First to show that microRNA miR-378 functions as an oncogene, a gene that has the potential to cause cancer, by encouraging cancer cell survival, tumour growth and blood vessel expansion in mice. Sheds light on the possibility of targeting this and other oncogenic microRNAs for gene therapy. Lead a practice-changing study showing that drug-eluting stents are as safe as bare metal stents. In patients who receive either of the two types of stents the risk of postoperative heart attack was the same. Also show the death rate was lower with drug-coated stents. Discover that expression of a prostate-specific hybrid gene predicts those prostate cancer patients treated only with surgery who are at highest risk of disease progression. Findings may eventually allow doctors to identify patients most likely to benefit from treatment. Only Canadian site for an international study to determine that MRI can improve the detection of “hidden” cancers in the opposite breast of women diagnosed with unilateral breast cancer. These were cancers first missed by mammography and clinical exam. Invent a device that combines low- and high-intensity ultrasound that, when guided by MRI, enables drugs to be delivered directly to previously impenetrable brain regions by disrupting the blood-brain barrier. The treatment is noninvasive. 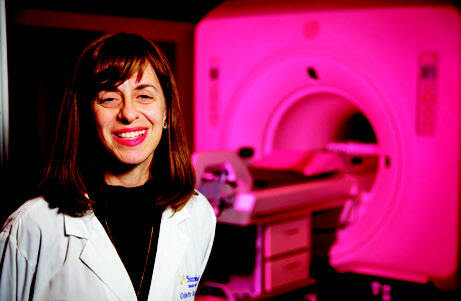 First to describe outcomes among women with triple-negative breast cancer. Find it is more aggressive than other forms of breast cancer, and has a higher risk of recurrence and death within five years of diagnosis but not thereafter. Show, with the Ontario Cancer Institute, that women with dense breasts as seen by mammography have a much higher risk of breast cancer, even years later, and that mammography is less likely to detect their cancer, owing to the density. Suggests other imaging detection methods are needed for these women. Find that bone marrow-derived circulating endothelial progenitor cells are rapidly mobilized in tumour-bearing preclinical models after a vascular disrupting agent is given, contributing to blood vessel growth and subsequent tumour growth. Blocking this mobilization reduces tumour size and blood flow markedly. Lead multicentre trial showing that bright artificial light therapy is as effective as, and works faster and produces less agitation than, antidepressant medication in the treatment of winter depression. Produce the first evidence showing that statins may prevent sepsis, a life-threatening bloodstream infection, in people aged over 65 years with atherosclerosis. Provides the foundation for clinical trials. Determine that women with HER2-positive breast cancer have better survival and lower recurrence rates when treated with anthracycline-based chemotherapy, whereas women who are not HER2-positive do not, so could be treated with a less toxic regimen. 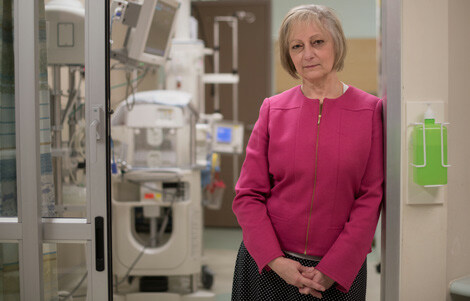 Lead the first clinical trial showing post-trauma administration of hypertonic saline can regulate the immune system’s inflammatory response, thereby limiting multiple organ failure and improving long-term survival. Participate as the only Canadian site in DMIST, an international study comparing digital mammography (DM) with film mammography. DMIST finds that DM detects more cancers than does film mammography in certain groups of women. Develop an efficient and versatile in vitro system to generate human T cells from human cord blood-derived stem cells. This method offers a powerful new tool to investigate the factors that influence human T cell development and function. Predict with neuropsychological testing, for the first time, which study participants will develop Alzheimer’s disease within five and 10 years. Find that measuring peripheral blood cells that circulate in the blood and contribute to tumour growth may provide a way to measure and monitor the effectiveness of antiangiogenic therapies, which work by blocking blood vessel formation. Show MRI detects more breast cancer tumours, earlier, compared with mammography, ultrasound or clinical examination in women with a BRCA1 or BRCA2 gene mutation. Changes clinical practice. Lead the first large prospective study to show that women with a BRCA1 or BRCA2 gene mutation diagnosed with breast cancer have a 40% risk of getting cancer in the other breast at 10 years. Find the risk is reduced by 38% in women who took tamoxifen and 59% in women who had their ovaries removed. Lead a 13-centre clinical trial showing that artery grafts from the forearm should be used in place of vein grafts from the leg for heart bypass surgery. 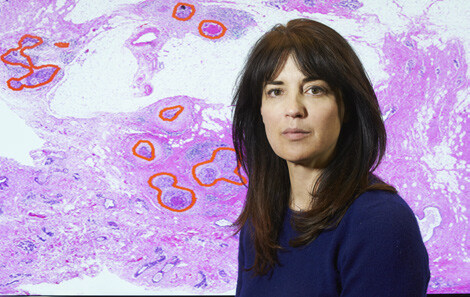 Complete the first breast cancer treatment in the world that implants small beads of palladium, a low-dose radioactive material, in patients in a one-day outpatient technique. 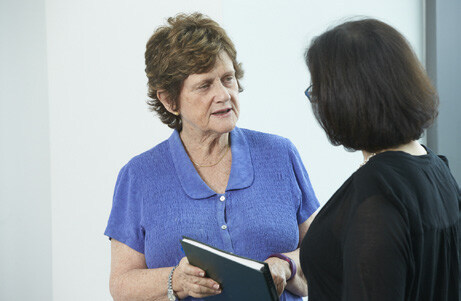 Co-lead the practice-changing letrozole trial of postmenopausal women with breast cancer, which finds this drug reduces the risk of recurrence of breast cancer by over 40% for women who had taken the drug tamoxifen for five years. Discover a novel molecular marker, glypican 3, to diagnose hepatocellular carcinoma, the most common type of liver cancer. Develop a model that can predict which patients with heart failure are most at risk of death within 30 days and one year. The simple risk score gives clinicians a tool to improve care and help prevent death. Show that direct thrombus MRI can quickly detect complicated plaque in the carotid arteries of people with insufficient blood flow to the brain. Being able to detect this high-risk plaque can help identify who is most vulnerable to plaque rupture and thus stroke. Find, in the largest study of its kind, that elderly patients admitted to hospital with drug toxicities were likely to have been prescribed a drug known to cause drug-drug interactions. Closer patient monitoring or using a different drug could have prevented these interactions. 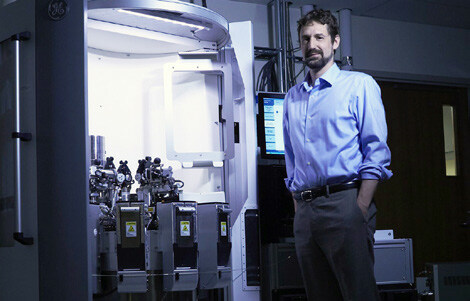 World’s first to use intravenous contrast material in digital mammography (DM) research. 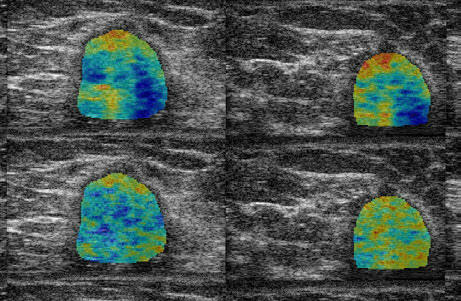 Results suggest that contrast-enhanced DM may be a new strategy to identify lesions in dense breasts. Create the world’s first system to generate T cells, a vital component of the immune system, in a Petri dish. Determine growth factors that stimulate the formation of new from existing blood vessels activate survivin, a protein that blocks cell death, which in turn protects cancer cells from chemotherapy. Explains why some tumours become resistant to drugs, and suggests a target that could help chemotherapy drugs work better. Demonstrate that a cell population of unknown function, present in the gut of normal individuals, plays a key role in preventing the development of ulcerative colitis, a disease that causes inflammation and sores in the lining of the colon. Find that patients with some serious conditions are more likely to die if they seek emergency care on weekends compared with weekdays. Study analyzed all hospital admissions (almost four million) from emergency departments over 10 years in Ontario. 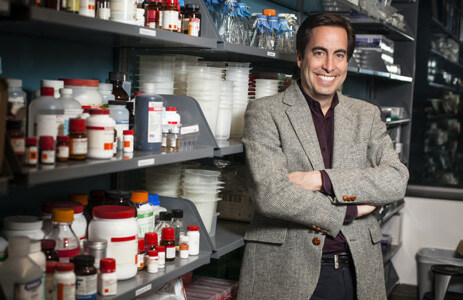 Discover, with collaborators at the University Health Network and Osaka University in Japan, a protein in human breast milk that stimulates the immune system of newborns. First to show a rhythmic expression of clock genes in human tissue throughout 24 hours, including that the cells lining the mouth go through the phases of the cell division cycle. Suggests timing of chemotherapy or radiation therapy delivery could be optimized by time of day. First to show that giving much lower doses of chemotherapy along with antiangiogenic drugs, which work by stopping new blood vessels from forming, significantly delays tumour growth in animal models with no toxic side effects. Lead the first multicentre clinical trial to compare caesarean and vaginal birth for breech pregnancies. The practice-changing results show planned C-sections for breech pregnancies are safer for babies. 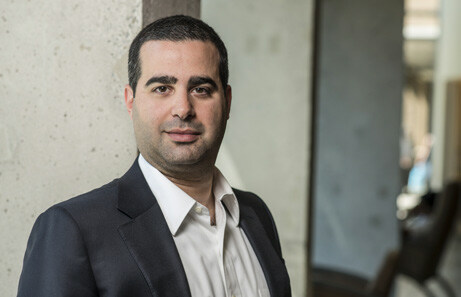 First to detail the extent to which BRCA1 and BRCA2 gene mutations contribute to the incidence of breast cancer in Ashkenazi Jewish women: about 12% of breast cancers in this population can be traced to the mutations. Results guide clinical decision-making. Provide the first proof that using a cell phone while driving increases the risk of a motor vehicle collision fourfold. Leads to ban on handheld devices across North America, starting with New York in 2001 in the U.S. In Canada, the province of Newfoundland and Labrador is the first, in 2003. Discover a new paradigm to explain how solid tumours become resistant to drugs. Challenges the current thinking that so-called acquired drug resistance involves only single cells, rather than groups of cells or tissues. Coin the term “multicellular resistance” to describe it. 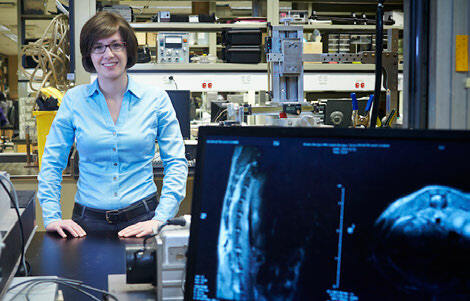 Form the first international digital mammography development group, led by Sunnybrook scientists. 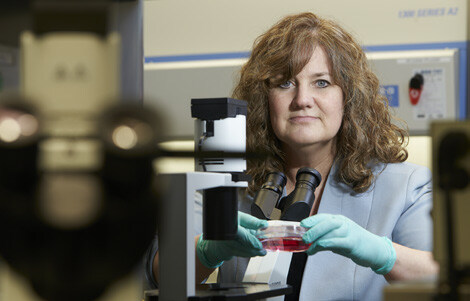 The group will lead dramatic advances in developing new technology to detect breast cancer. Invent the world’s first ultra-high-frequency ultrasound microimaging scanner for preclinical imaging, which is now used worldwide for research and clinical imaging across many indications. Clinically, they include detecting glaucoma and anterior segment tumours in the eye; assessing veins and arteries in the tiniest of babies; and detecting and monitoring inflammatory arthritis.